Many innovations of 21st century life, from touch screens and electric cars to fiber-optics and implantable devices, grew out of research on new materials. This impact of materials science on today’s world has prompted two of the leading research institutions in the Pacific Northwest to join forces to research and develop new materials that will significantly influence tomorrow’s world. 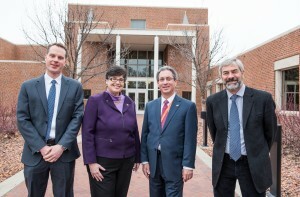 With this eye toward the future, the Department of Energy’s Pacific Northwest National Laboratory and the University of Washington announced the creation of the Northwest Institute for Materials Physics, Chemistry and Technology — or NW IMPACT — a joint research endeavor to power discoveries and advancements in materials that transform energy, telecommunications, medicine, information technology and other fields. 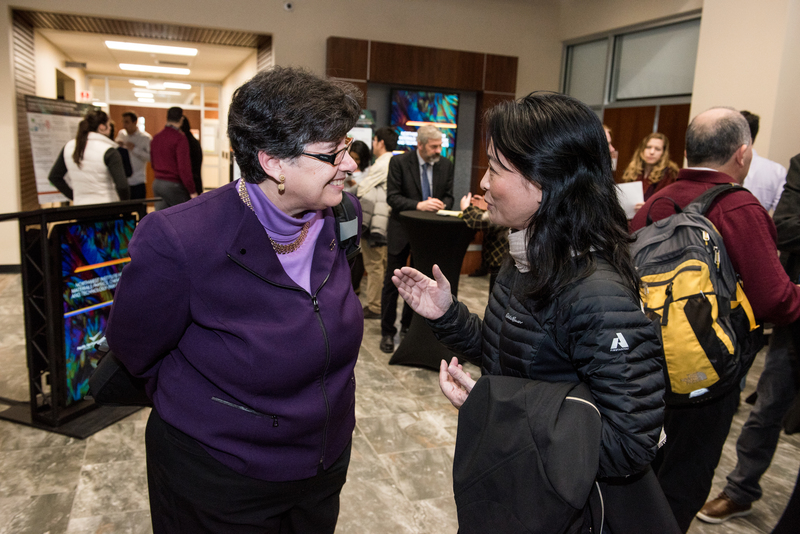 UW President Ana Mari Cauce and PNNL Director Steven Ashby formally launched NW IMPACT during a ceremony Jan. 31 at the PNNL campus in Richland, Washington. The institute builds on a history of successful partnerships between the UW and PNNL, including joint faculty appointments and past collaborations such as the Materials Synthesis and Simulations Across Scales Initiative, the PNNL-led Battery 500 consortium and a new UW-based Materials Research Science and Engineering (MRSEC) Center. 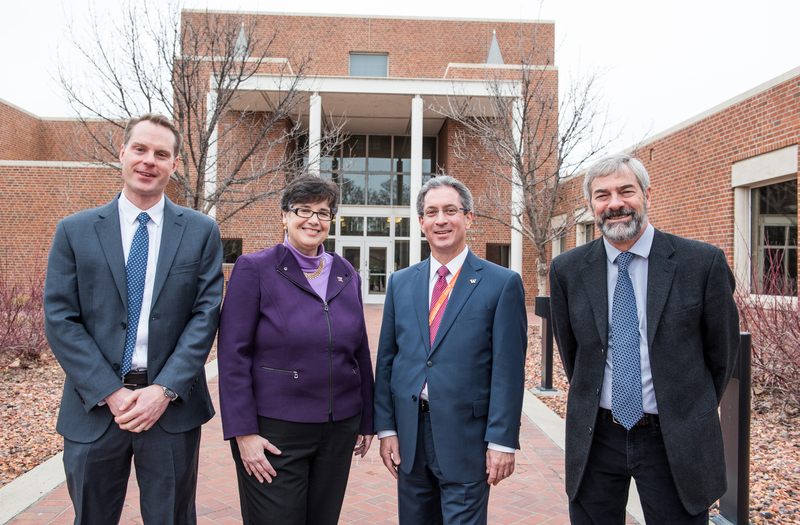 But NW IMPACT is the beginning of a long-term partnership, forging deeper ties between the UW and PNNL. 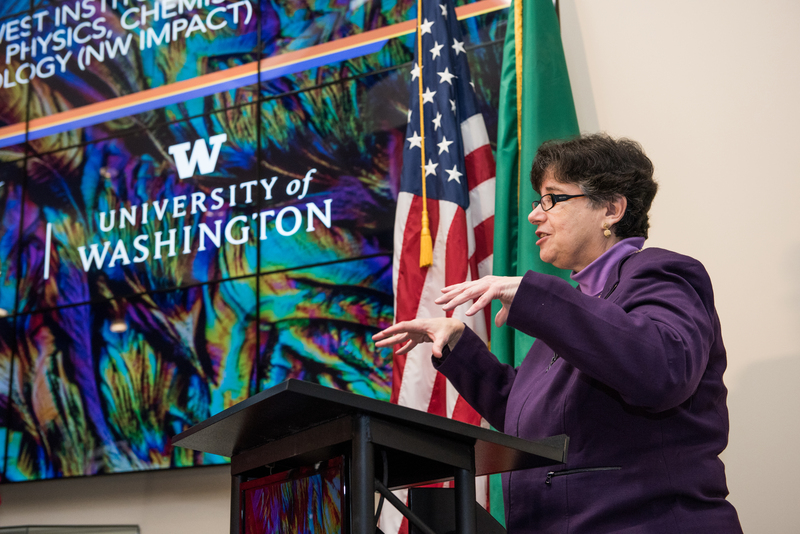 Over its first few years, NW IMPACT aims to hire a permanent institute director, who will be based at both PNNL and the UW; create at least 20 new joint UW-PNNL appointments among existing researchers; streamline access to research facilities at the UW’s Seattle campus and PNNL’s Richland campus for institute projects; involve at least 20 new UW graduate students in PNNL-UW collaborations; and provide seed grants to institute-affiliated researchers to tackle new scientific frontiers in a collaborative fashion. 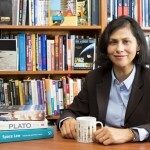 “The science of making materials involves understanding where the atoms must be placed in order to obtain the properties needed for specific applications, and then understanding how to get the atoms where they need to be,” said De Yoreo. 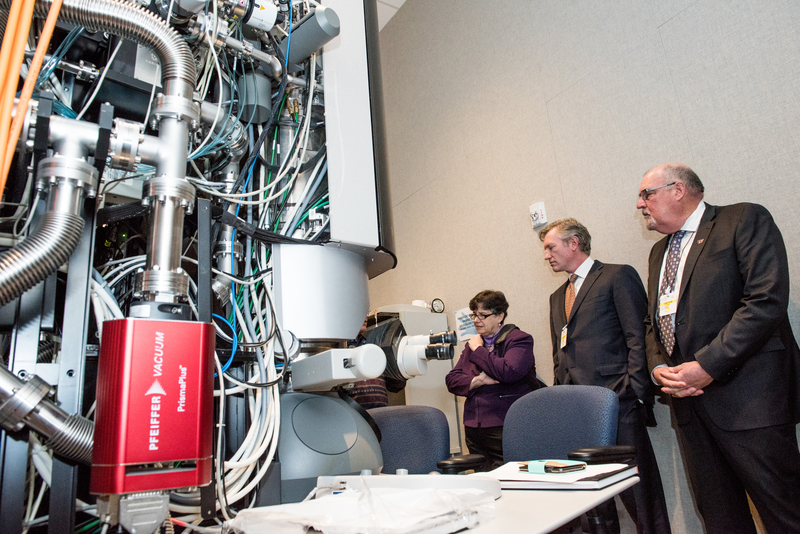 UW President Ana Mari Cauce tours PNNL facilities during the launch of NW IMPACT on Jan. 31. 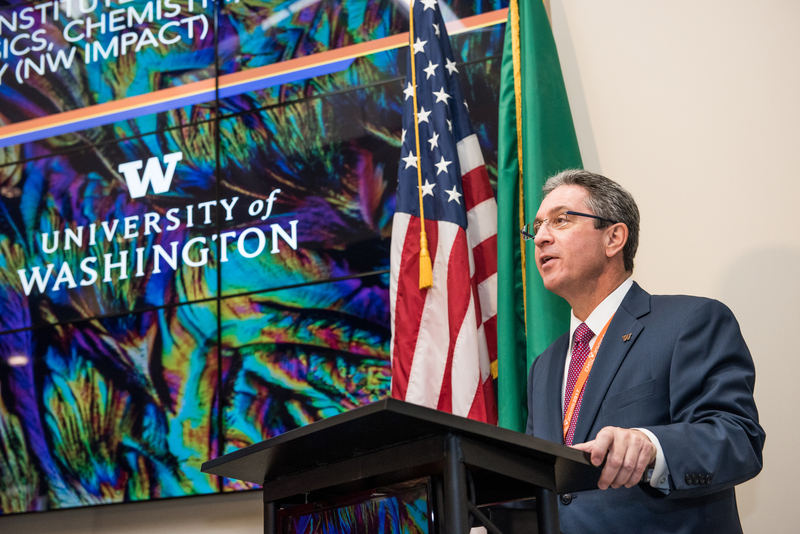 PNNL Director Steven Ashby speaks during the launch of NW IMPACT on Jan. 31. 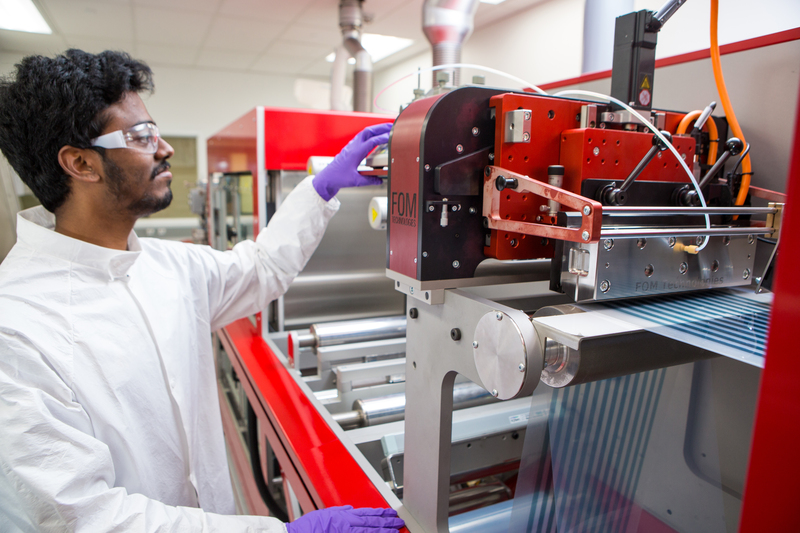 UW student working on the roll-to-roll printer at the Washington Clean Energy Testbeds. Credit: Matt Hagen/UW Clean Energy Institute. UW student working at the Washington Clean Energy Testbeds. NW IMPACT will draw on the unique strengths and talents of each institution for innovative collaborations in these areas. 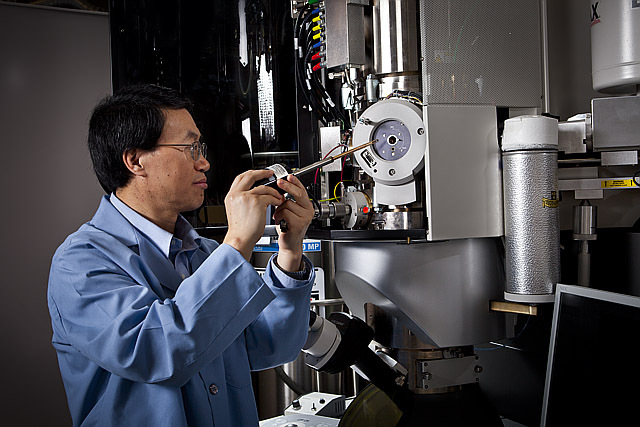 For example, PNNL has broad expertise in materials for improved batteries. The lab also offers best-in-class imaging, NMR and mass spectrometry capabilities at EMSL, the Environmental Molecular Sciences Laboratory, a DOE Office of Science user facility. DOE supports fundamental research at PNNL in chemistry, physics and materials sciences that are key to materials development. 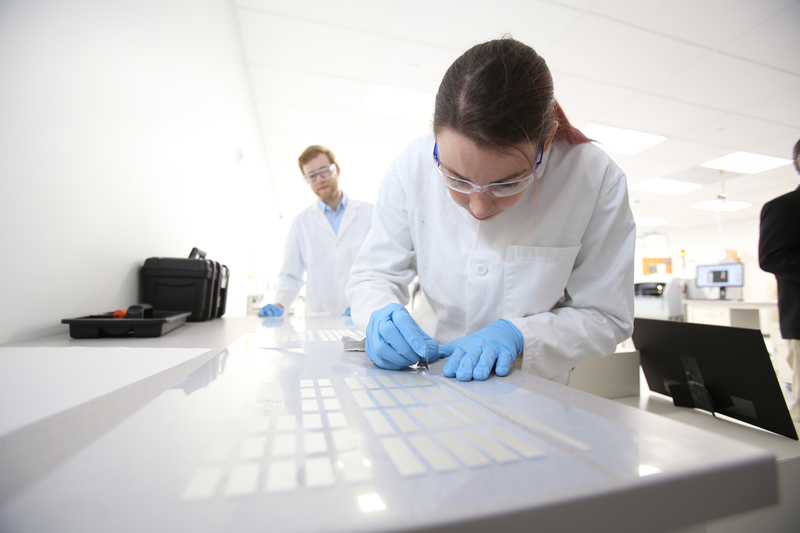 The UW brings complementary facilities and equipment to the partnership, such as the Washington Clean Energy Testbeds and a cryo-electron microscopy facility, as well as expertise in a variety of “big data” research and training endeavors, highly rated research and education programs, and ongoing materials research projects through the National Science Foundation-funded Molecular Engineering Materials Center. 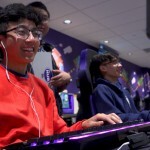 For more information, contact James Urton with the UW News Office at 206-543-2580 or jurton@uw.edu and Susan Bauer with the PNNL News & Media Relations Office at 509-372-6083 or susan.bauer@pnnl.gov.